The key aim of base training is to build a good endurance base and build strength so that later in the season you have a solid base on which to fine tune your racing speed. Imagine you have two engines, one engine is for speed and the other engine is for endurance. It’s great to have speed on your bike but do you have the endurance to maintain that speed through a race or sportive? You need both engines to be both strong and efficient. To build your endurance Base Training involves a higher volume, and lower intensity. Instead of riding 60 minute Power House or Threshold Boosters you will need to ride the longer Ironmania and Super Strength Endurance (SSE) sessions. but with lower ride intensity and increased ride duration. For example, a typical summer training session of 1 hour HIIT Hurt Box will give you a TSS of 90. A Base Training session of 1h45 Ironmania at a RPE of 4/10 will give you a TSS of 90 aswell. Endurance training strengthens your type 1 connective and soft tissues. This lays the groundwork as your training becomes more intense later on in the year. This type of training also reduces the chance of injury when you’re doing more intense training later in the year. This is essential in helping you achieve your season’s goals and ensures you can complete consistent training blocks. Competing or completing your season’s goal also requires mental strength. The concentration and mental effort required for the additional hours on the bikes are perfect preparation for the long races later in the year. For some people this could be a great time to lose some weight but for most the principle below will apply. So, who should lose weight in base season? If you are more than 8 pounds (5kgs) over your ‘race weight’ then you should be thinking about getting your weight down (slowly and sensibly) to around 12 pounds over your race weight. (This is a good zone to stay in year round). You can then focus on smoothly and sensibly getting down to race weight around 16 weeks before your A race. The table below is a good guide for the majority of athletes. Note: This is just a guideline. Weight is a personal factor that should be tailored to your event and your body. Base Training is a good time to introduce some cross training. Cross training helps the body to open and recover from hours training in the same position on the bike and it also helps relieve mental fatigue by adding some variety and fun to your training. Having a bit of fun playing tennis or football means when we get back on the bike we are happy and motivated to train as opposed to being mentally fatigued with low motivation. Endurance sports such as cycling and running mainly focus on movement in the sagittal plane of motion (forward and backward). Being so specific can create imbalances and strain on areas of the body such as the lumbar region of spine (lower back), hips and knees. In the winter we should include some cross training to promote lateral (side to side) and transversal (twisting) movement so that we keep a healthy, mobile body and reduce the risk of injury. A good time to add strength training is during the off season because we can allow ourselves greater recovery time between workouts to allow full physiological recovery and targeted muscle adaptation. Developing muscular strength increases the potential wattage that can be produced by the targeted muscles. This will increase your Maximum and Average Watts and therefore your performance, however there is a trade-off, too much strength training could add unwanted mass therefore reducing your W/kg. Exercise choice and repetition range is essential when planning your strength program, as explained below. Adding 2 Strength and Conditioning sessions per week to your training is a reasonable start. Also go for lower weights and higher reps (e.g 9-12) to build muscular endurance strength not body mass. If you are new to strength workouts, take it easy and add short sessions just once a week and see how your body handles the change. Strength training is important but your work on the bike should always be the first priority. Strength work is complex and we would advise the use of a Strength and Conditioning coach initially to perfect your technique and to recommend the right exercises that will correct any imbalances/injuries you have and bring about the best results for your goals. Remember, the training has to be specific to you. Base Training can allow niggles and injuries time to repair themselves. Your Base Training phase is a good chance to visit a physio or a strength and conditioning coach to repair and rehabilitate your injuries/ problem areas. This will reduce the risk of injury during race season and make you stronger on the bike. First, Base Training is something that we include in “periodisation”, in other words, in your Annual Training Plan. The Base period is calculated from the date of your A race and with consideration for your B races. So Ms X’s Base Training period might not be at the same time or as long as Mr Y’s because her A race is earlier in the season. She will likely start the preparation phase earlier in the year. Base Training for a cyclo cross rider is in the spring with race season in autumn. So in order to calculate this and to make sure that you peak at the right time, you might need to ask a coach to help you “periodise” your season. 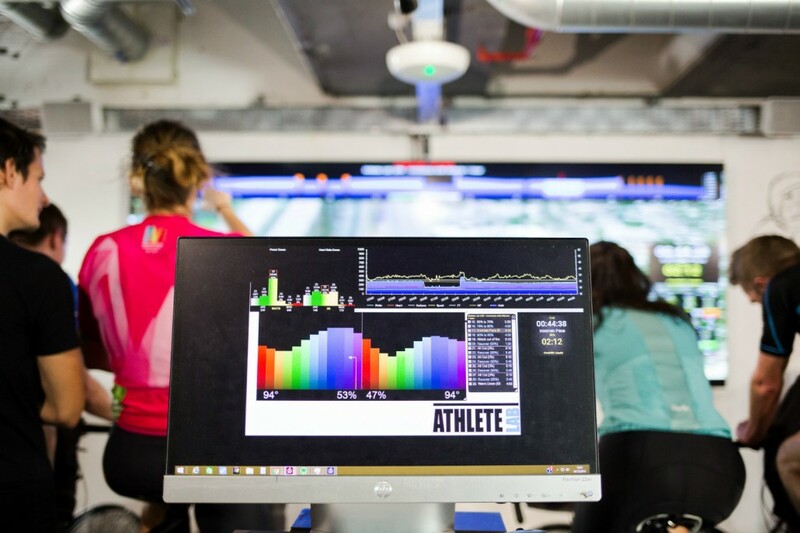 Secondly, as people’s A races, and hence their Base Training phases are at different times of the year, we will always have the full range of sessions from endurance through to high intensity sessions available in the Lab. There isn’t one way to coach someone or to train and a wide choice of sessions will always be available to you. We hope you found this information useful. If you have any further questions on Base Training or would like to know a bit more detail about an area we haven’t covered, talk to one of our coaches who are always happy to help.